What type of racking should I use for my abattoir? 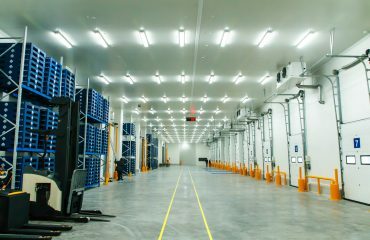 Abattoirs and other meat processing facilities present a mixture of unique challenges for the storage industry. Low temperatures, time pressure from production and loadout teams, space constraints are just a few of the factors to be considered. 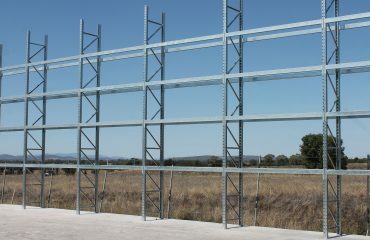 Pallets are stored in racks which are 2-deep, a forklift with reach capability is required. 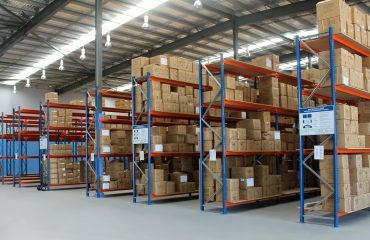 Storage capacity is increased because less aisles are required, but there is a reduction of selectivity and operators need increased training and skill level. Pallets are stored in lanes which the forklift drives into, dimensions of the forklift need to be considered. Storage density is high with this system, but selectivity is reduced and typically rack damage can be common. Satellite systems can be incorporated successfully in larger installations.